Ah Venice. Cliched, perhaps. 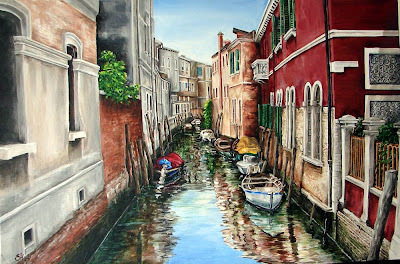 And walking around Venice there must be thousands upon thousands of paintings to choose from, none of which would have reminded me of how I experienced Venice. How captivating the water was, I could not avoid being inspired by it. 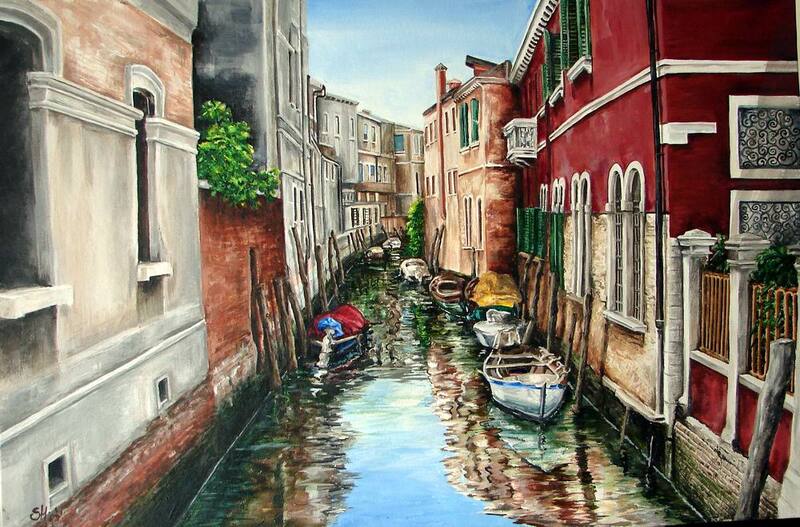 I am fairly new at being a painter, the Venice series was my first attempt at anything of the sort.